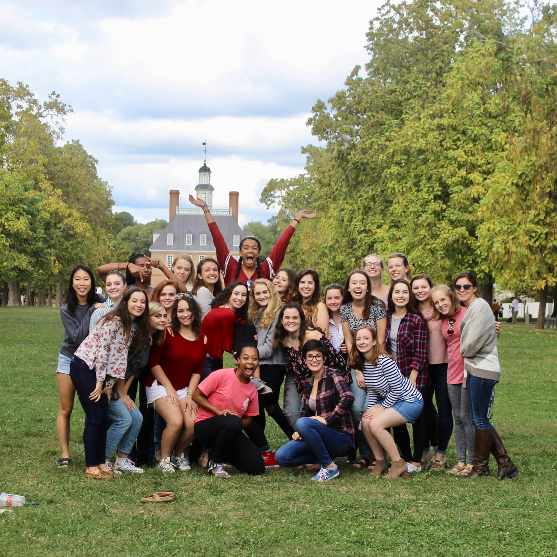 Delta Gamma at William and Mary is a lot more than a sorority. It is a group of girls, of all different backgrounds, cultures, interests, majors, ages, heights, aesthetics, tastes in television, food preferences, ice cream toppings, favorite Friends characters... but every DG has one thing in common: values. "I love the diversity among our sisters at W&M. One of the reasons I joined a sorority was to meet new people I would have otherwise not have met, and I feel like I've found that in our chapter. Every time I go to a meeting or see a sister around campus, I always feel welcome and that the friendships in Delta Gamma are genuine."